Since 1894 Breiltling has been putting out instruments that have measured and withstood the tests of time. One of the most iconic lines of Breitling has been the Chronomat, and infact it has been their number 1 seller since 1984. 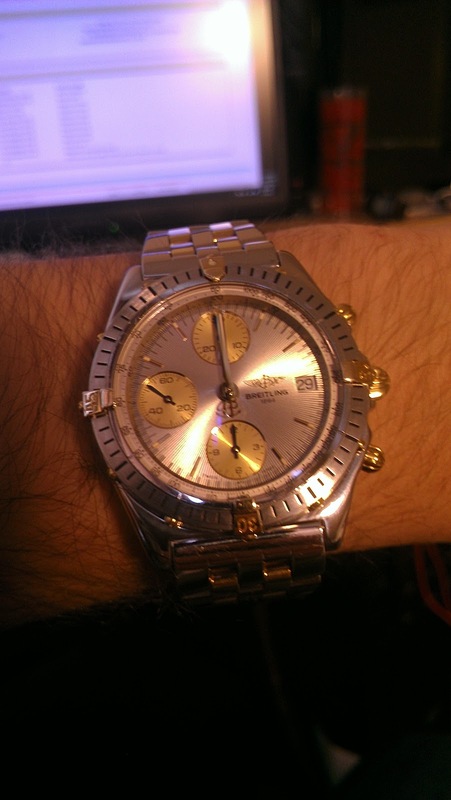 The Breitling Chronomat has always been an important and quality time piece. The original Chronomat's employed the famous slide rule also/later? found on the Breitling Navitimer. The Modern Chronomat introduced in 1984 is a piece that is designed to be Rolex' better which it would need to be to compete against such an iconic and venerable brand. Although Breitling arrived to the "in-house" (movement) party late they instead focused on the case, the band, the function, the build, and execution of the movement used. Breitling's are all COSC since 2000 and I've been told by Roff the Prof at BreitlingSource.com that all modern Breitlings can be overhauled and regulated within COSC specifications. In all of these areas Breitling outpaced its competitors Rolex and Omega for years until the late 2000's.